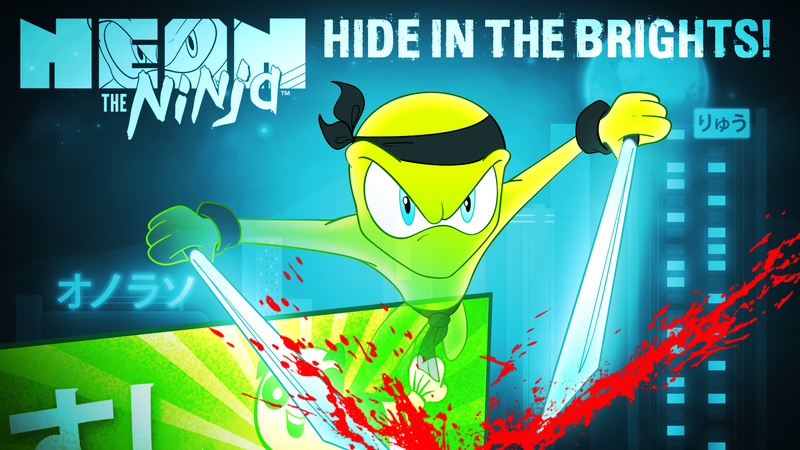 NEON THE NINJA is a 2D, punk rock, anti-everything-corrupt-in-the-world, action/ stealth game that tasks the player with a hit-list of the eight most vile leaders in the world. Slash your way through everything that moves; dive into neon signs for camouflage; or maybe do a little bit of both (who would we be to judge...that's Neon's job) in this Quentin Tarantino-vs.-Saturday-morning-cartoon take on video games. Things are going to get much, much brighter with Neon around.